Clouds serve as a theme in a series of linked introductory explorations in math, language arts, and science. After participating in a demonstration of cloud formation, students are directed to create an acrostic poem (a poem that uses the letters in a word to start each line of the poem) and peer review and edit each other's work. The class collects atmospheric temperature and cloud cover data over a period of days and then construct graphs to assist in analysis. This lesson is supported by observation protocols, teacher resources, and a glossary of scientific terms. 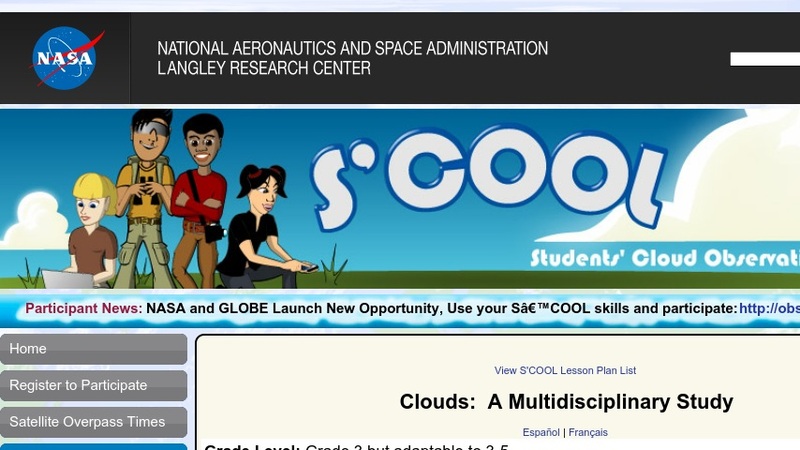 This activity is related to the NASA CERES Students Cloud Observations Online (S'COOL) project.